Much Of Tesla’s Stock Is Held By Institutional Investors. Why Do Short Sellers Claim Otherwise? Many of the talking points used by those short selling Tesla’s stock revolve around the idea that the company’s stock is largely held by individual investors who don’t understand that the company: is (permanently apparently) on the verge of collapse; is actually in need of funding that it says it doesn’t need; and/or doesn’t make the margins on the cars it sells that it reports it does. If one wants to take such talking points seriously, there are many barriers to doing so. 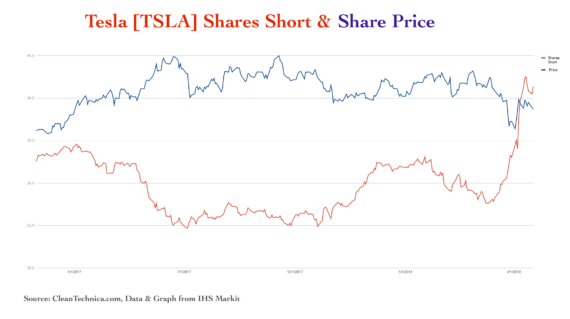 Ignoring the simple reality that the numbers themselves don’t seem to say what most short sellers are claiming they do, there’s the other simple reality: much of Tesla’s stock is actually owned by institutional investors, not by individual investors. As it stands, Fidelity owns (across several different portfolios) around 9.89% of Tesla’s stock, Baillie Gifford & Co owns around 7.64%, Price T Rowe & Associates Inc. owns around 6.39%, ClearArc Capital Inc (Fifth Third Bank) owns around 4.95%, and Tencent Holdings Limited owns around 4.83%, amongst many others. That being the case, the idea that those investing in Tesla’s stock are all financially illiterate brand worshippers doesn’t quite wash. One could hardly describe Fidelity’s investment teams as incapable of understanding the ins and outs of financials reporting. Clearly, then, what we are actually talking about here is a difference of interpretation. 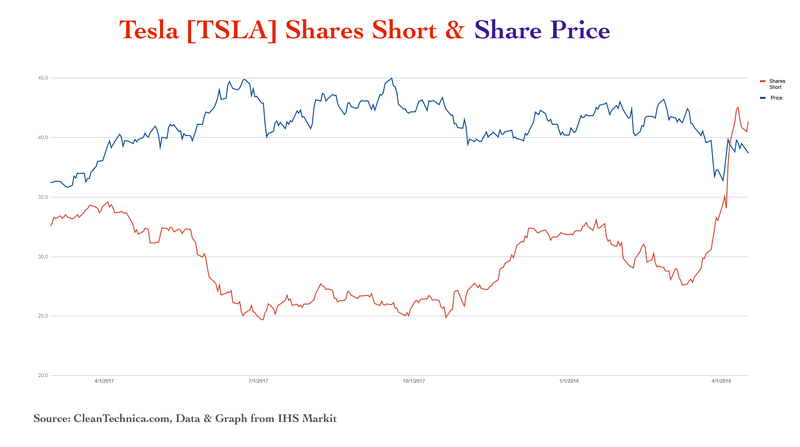 A difference of interpretation, that is, between institutional investors + private investors betting on Tesla’s long-term performance, and short sellers betting on the company’s collapse (any time now … for the last half decade). As a result, the institutional investors taking into account long-term potentials are seemingly the ones giving the most accurate accounts of future developments, rather than those simply looking for the occurrence of events that they have already bet on (that is, bet on occurring within the near future). All of that said, it’s not clear yet what will end up happening with regard to Tesla’s stock over the long term. Investments in stock are always a gamble of a sort. I will note, though, that once/if Tesla makes it to +5,000–10,000 Model 3 sedans produced a week, the never-ending arguments that the company is on the verge of collapsing will seem highly unbelievable. That all noted, I’m going to again pose the question that kicked off this article here: Much of Tesla’s stock is held by institutional investors. That being the case, why do short sellers claim otherwise (suggesting that investors are all irrational brand worshippers)?